I tried a new recipe with this one; just changed up the percentages of the oils a bit and added castor oil and shea butter. It’s fun to try different percentages of oils to see how it affect the lather, hardness, silkiness and moisturizing qualities etc. of the soap. This soap smells like cake too….fragranced with Clementine Cupcake, my favorite cakey fragrance! 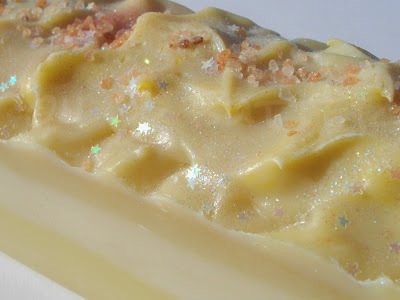 Nice soap :) Like the little stars on the top. Did you use any colors or only titanium dioxide in the center? Cute soap, Cee Gee! I love the glitter, confetti, and pink salt on top. The fragrance sounds yummy! Anyone who gets a bar of this soap would have a very happy birthday indeed! Love the stars! 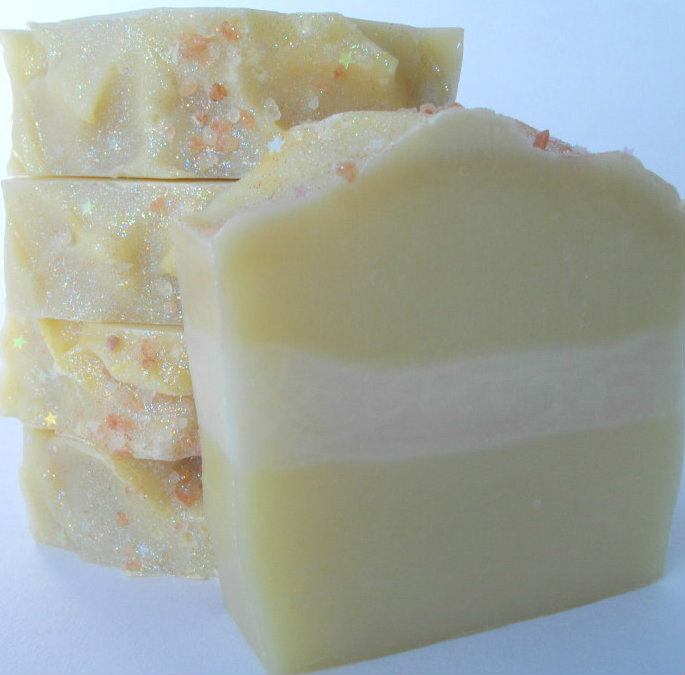 I've been thinking about ordering those for Christmas soaps. They would be perfect for Christmas soaps! Hey did this discolor on you, CeeGee? Hi there! I kept a bar of this soap for a few months after and it only ever discolored slightly, I'm talking a really light tan color, but never discolored beyond that. You're most welcome, and thank you for the loves...lol!